For International orders please email me your order so I can prepare a custom invoice with the best shipping price. Sturdy, unique and stylish, these displays are easy on & off. The displays are in-house DBK made using high-end woods and finished with gloss lacquer to a fine sheen. 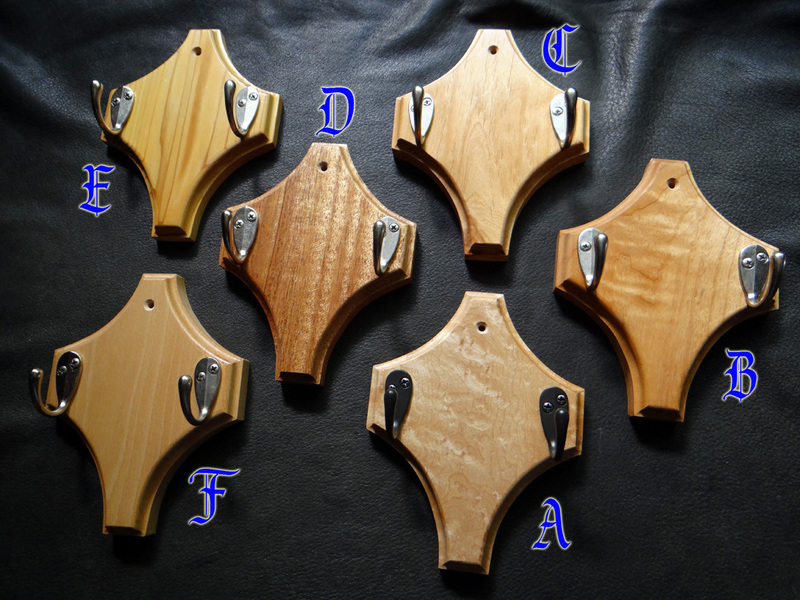 They will accommodate a blade up to 3-1/2 inches wide and hang your sword on a wall with confidence & style. 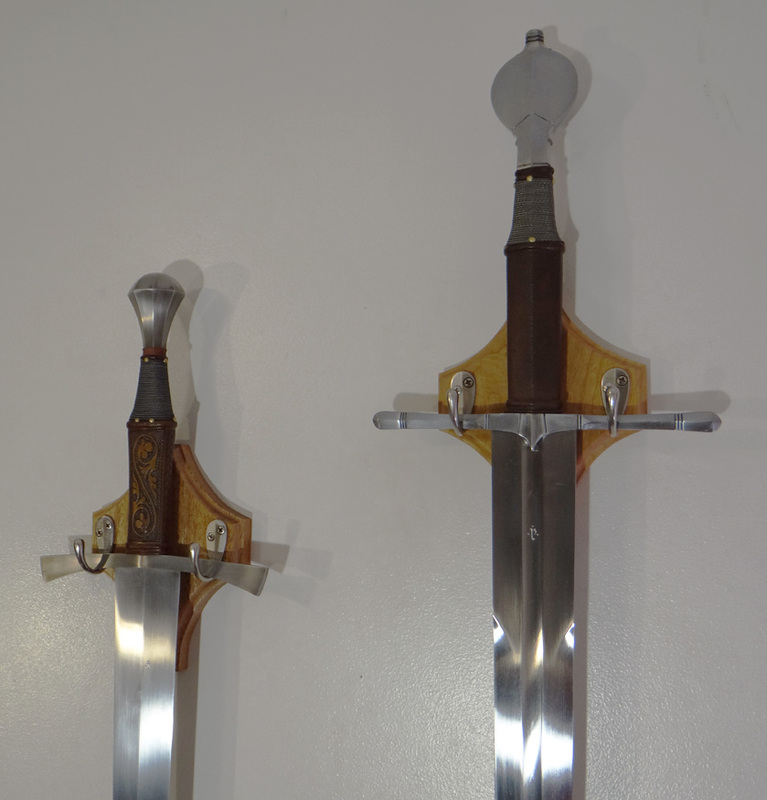 When hanging a sword it is recommended you mount your display to a stud in the wall for maximum strength.